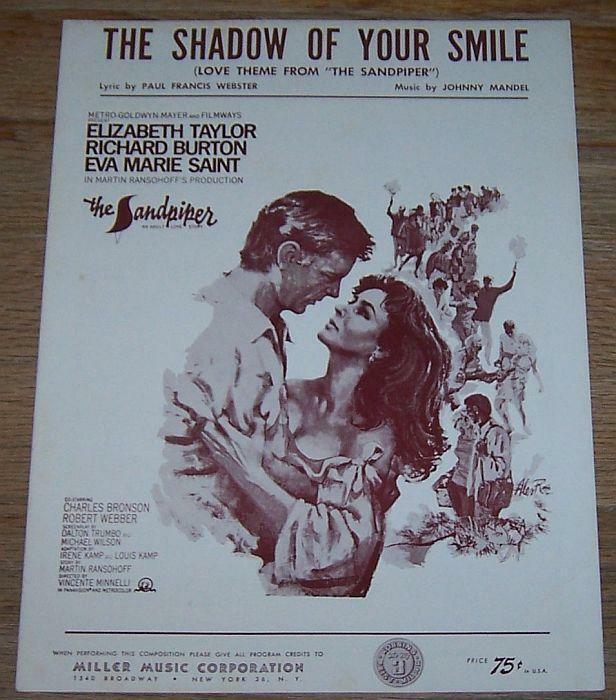 Shadow of Your Smile, Love Theme From The Sandpiper, starring Elizabeth Taylor, Richard Burton and Eva Marie Saint. Lyric by Paul Francis Webster and Music by Johnny Mandel. Sheet music is in good condition, slight wear at edges. 1965 Miller Music. Items Similar To "Shadow of Your Smile, Love Theme from the Sandpiper Starring Liz ..."